While India has been assertive in protecting interests it considers vital to its security posture in the region, New Delhi remain cagey when it comes to drawing lines on a map. To start at the very beginning: the Sikkim-Tibet border was defined in 1890 through the Anglo-Chinese Convention that was signed in Kolkata on March 17, 1890. As is evident, Bhutan played no role in this, nor did Sikkim or Tibet; the agreement was between two empires – the British and the Qing. The Tibetans refused to implement the convention and for this they were punished when the British stormed Lhasa and later signed a convention with the Chinese in 1906 and 1910 recognising the authority (suzerainty, they said) of China over Tibet in exchange for a number of rights. India and China should work together to come up with “some better sort of arrangement” for peace, the US said today, expressing concern over the standoff between their troops in the Sikkim sector. “I know that the US is concerned about the ongoing situation there,” State Department Spokesperson Heather Nauert told reporters at her daily news conference. She was responding to questions on the standoff between Indian and Chinese troops in the Dokalam area. “We believe that both parties, both sides should work together to try to come up with some better sort of arrangement for peace,” Nauert said. Earlier, a State Department official told PTI that the US encourages India and China to engage in a direct dialogue to reduce border tensions. President Trump suggested in a visit to the Pentagon Thursday that he might hold off on sending more troops to Afghanistan, despite a recent order that he signed authorizing the Pentagon to add more forces. The fight against the Islamic State in Afghanistan is only a tiny piece of the broader battle in the country to stabilize Afghanistan’s faltering central government and slow the Taliban’s battlefield momentum. Trump gave Defense Secretary Jim Mattis the authority more than a month ago to send as many as 3,900 additional troops to Afghanistan on top of the 8,500 currently there. Most of those forces would be used to bolster the Afghan Army in its fight against the Taliban, rather than battle the relatively small Islamic State force in the country. But Mattis has yet to send those additional forces and some U.S. officials have speculated that either he or the White House could be having second thoughts. The head of the Communist Party of China’s (CPC) anti-corruption watchdog, the Central Commission for Discipline Inspection (CCDI), has blasted President Xi Jinping and the Chinese government’s lack of progress in eradicating corruption since he took power five years ago. Wang Qishan’s comments follow reports that a senior official, previously considered a contender for promotion, was being investigated for “discipline violations.” As the chief enforcer of Xi’s widespread anti-corruption campaign, Wang lamented a weakening party leadership and unhealthy party culture, citing the need for a long process to effectively root out corruption within the ruling apparatus. The criticism comes just days after the CPC issued revised regulations on internal party inspections, the latest move in a renewed campaign to improve supervision and governance of its 89-million strong membership. The amendment lifts political inspections to a higher place on the supervision agenda, with inspections required to preserve the centralized, “unified” leadership of the CPC. The new regulations are tied to an agreement reached on May 26, when the Political Bureau of the CPC Central Committee decided to amend the Party’s approach to inspections to better reflect the “latest innovative practices.” With the trajectory set, China’s ruling party appears determined to achieve true political transparency – or, at the very least, give the impression of real lucidity. China’s counterspace strategy is based on taking advantage of not only its own strengths but also the weaknesses of its potential adversaries. Such a strategy can reinforce the United States’ inertia in following essentially the same national security space strategy since the dawn of the space age that can only deal with traditional threats. Thereby, China can use a new threat to achieve its ultimate goal of deterring U.S. military intervention in the Asia-Pacific theater and can accomplish this without firing a shot. In 2007, China successfully tested its ground-based direct-ascent anti-satellite (ASAT) ballistic missile. Seemingly, China did not expect the worldwide outcry over the space debris created by the test. Mallory Stewart, the State Department’s deputy assistant secretary for emerging security challenges and defense policy called the 2007 event a “remarkable incident of irresponsible behavior,” as the test created one-sixth of all radar trackable debris. 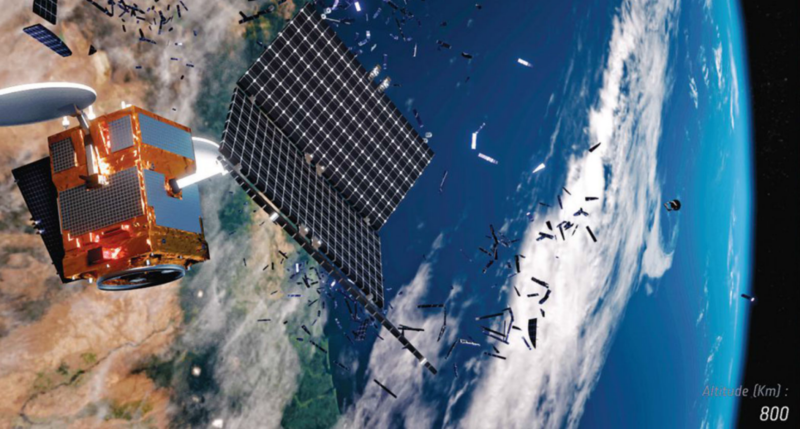 Moreover, SpaceNews reported that “other government estimates say the event led to 3,400 pieces of [radar trackable] debris, more than half of which is expected to still be in orbit in 2027.” The world was justifiably concerned about the large number of enduring debris generated, especially when this event could set a dangerous precedent for ASAT testing. The People’s Liberation Army military drill was purportedly intended as a clear warning to India. The People’s Liberation Army (PLA) conducted a military exercise on the Tibetan Plateau in Western China as the most serious border standoff in over three decades between India and China near the Doka La pass in Doklam in the Himalayas continues, Chinese state media reported on July 15. The live-fire drill involved a ground combat brigade of the PLA Tibet Regional Command and took place on the 5,000 meter high plateau. Neither the exact time nor location of the military exercise has been disclosed. According to the PLA, the drill intended to improve the troops combat capabilities and involved the assault on enemy positions and the destruction of stationary targets such as bunkers. “The exercise effectively tested the brigade’s joint strike capability on plateaus,” a PLA press release notes. In a video clip shown on China Central Television (CCTV), PLA infantry armed with assault rifles, machine guns, and rocket launchers were seen advancing across open terrain under covering fire provided by PLA, mortars, rocket artillery and towed and self-propelled 155milimeter howitzers. For a country that has been all too accustomed to terrible news over the last fourteen years, the liberation of Mosul was a big breath of fresh air for Iraqis of all ethnicities and sectarian affiliations. The Islamic State, an organization so incredibly inhumane and medieval that it makes Al Qaeda chief Ayman al-Zawahiri look like a grandfatherly scholar, outlasted its welcome in Iraq’s second largest city long ago. 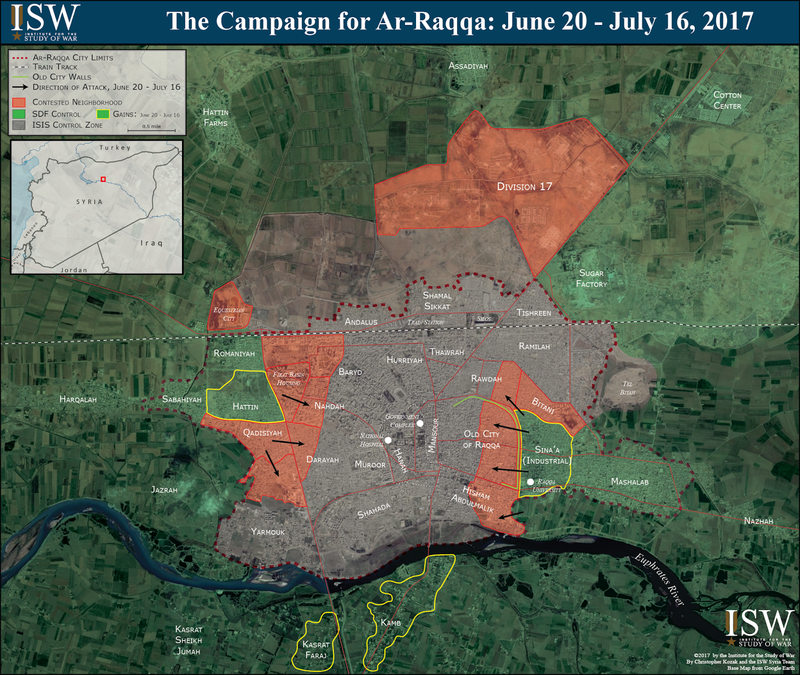 So when the Iraqi army, the elite counterterrorism service, the federal police and the U.S.-led multilateral coalition finally squeezed ISIS fighters from a small enclave in the old city along the Tigris River after nine months of brutal house-to-house, room-to-room combat, there was plenty for Iraqis to celebrate. And yet despite this triumphant victory and the celebratory mood enveloping Baghdad, the Iraqi government is quickly squandering whatever goodwill it earned among Iraq’s Sunni population. The reconciliation, reintegration and reconstruction that is critical to rebuilding Mosul’s infrastructure and bringing the nation closer to an intercommunal awakening is instead being replaced by revenge, bloodlust and score-settling—the very conditions that assisted ISIS’s success in Iraq in the first place. Reports of Iraqi security forces or pro-government militias committing human-rights abuses, illegal detentions of Mosul residents, and extrajudicial killings of ISIS detainees or sympathizers have become the norm during and after the Mosul operation. Human Rights Watch has documented numerous cases of Iraqi security forces randomly picking men and boys out of the crowd at checkpoints, beating them severely and taking them away to makeshift bases. Witnesses have told Human Rights Watch that some people have been killed at those bases, and it’s not unreasonable to assume that more have been tortured when they were interrogated. With the rise of Isis in 2014, the town served as the centre of its propaganda. This was where Isis promised a final showdown between the forces of good and evil, an epic battle supposedly foretold by Islamic prophecies in the seventh century. Isis named its main propaganda magazine after the town. So with a blockbuster Hollywood movie on Dunkirk hitting the silver screen this week, one would think that Dunkirk was a British victory. July 18, 2017: Ukraine and the “war against NATO” is becoming an expensive distraction for Russia. While Russian backed rebels still hold parts of eastern Ukraine (the Donbas) it is costing Russia a lot of money to support the civilians there and the heavy-handed discipline (assassination and so on) required to keep rebel leaders in line also requires more efforts to keep foreign journalists out. Too many people in Russian occupied Donbas are willing to talk with foreign reporters. In the rest of Ukraine security measures and increasing popular hostility towards Russia has made it more difficult and expensive to carry out covert operations. Making matters worse is the fact that no matter how much Russia threatens Ukraine the Ukrainians become more determined to develop stronger economic, cultural and military ties with nations to the west, especially NATO and the EU (European Union). Every month Ukrainians are reminded that Ukrainian soldiers are still dying while confronting the Russian aggression in Donbas. In June 28 Ukrainian troops died in the east and over 170 were wounded. Since the Russian invasion began in 2014 about 10,000 Ukrainians have died, 70 percent of them civilians. Across the country in our nation’s capital, another nostalgic countercultural event transpires: the summer of Thucydides. Senators quiz the secretary of defense on Thucydides, a subject on which he is admirably knowledgeable, during congressional testimony. A distinguished Ivy League professor is invited to the White House to discuss with the national security adviser and staff the “Thucydides Trap,” where fear of a rising power by a hegemon precipitates war, as Thucydides explains occurred between Sparta and Athens in the 5th century B.C. The president’s political amanuensis, Steve Bannon, is reportedly obsessed with the martial prowess of Sparta. One of the main proselytizers of Trump’s worldview, who has written under the pretentious pseudonym Publius Decius Mus (a Roman consul from 340 B.C.“noted particularly for sacrificing himself in battle”), disparages readers of any except the Hobbes translation. A New York Times columnist decries the national security adviser and national economic adviser as Athenians creating enemies by their self-defeating pursuit of the state’s interest. Bemused international-relations professors leap on the rare moment of public interest to teach a little theory. Classicists gnash their teeth at simplistic readings of a classic that encompasses myriad perspectives on war. 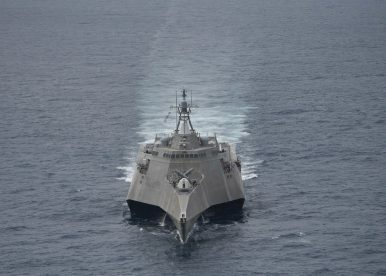 Assess the role of sea power – past, present, and future – in U.S. maritime leadership. As I write about in Sea Power: The History and Geopolitics of the World’s Oceans, (Penguin Press, 2017), global history so often reflects whether or not a nation or empire has effective control. From the Peloponnesian Wars 2,500 years ago to the Cold War, the ability of nations to ensure access to the global commons matters deeply, both in peace and war. The oceans matter today because of the environmental and ecological challenges (acidification, global warming, melting Arctic ice, falling fish stocks); because of trade (95 percent of all internationally traded goods move by sea); and geopolitically as great powers contest the seas for the first time since the fall of the Berlin Wall and the end of the Cold War. Sea power continues to matter deeply to American power around the world. If you think about it, plastics should be considered one of the defining technologies of the 20th century. Their flexibility, cheap manufacturing costs, and resistance to degradation has meant the use of plastics outpaced most other man-made materials. Today, many of us can't remember a world without plastic, which went into large-scale production in the 1950s. But we're now learning the costs of this wonder material—oceans full of indestructible micro-particles that are harming sea life and polluting waterways. We have no idea how to get rid of them. With a study published on Wednesday in Science Advances, we know how much plastic we've created, and where most of it has gone. This represents the first global analysis of all the plastics ever made on the planet, and big surprise, it isn't pretty. As of 2015, it finds, humanity has produced over 8.3 billion metric tons of plastic. Of that, 6.3 billion metric tons has become waste. With just over 7 billion peopleon the Earth as of 2015, this would represent more than one metric ton per human being. Most plastics don't really biodegrade, and can hang around for hundreds or thousands of years. The origins of the Universal Carrier can be traced to the Ford T-powered Carden-Loyd machines developed in Great Britain in the mid-1920s, specifically the Mark VI model of 1927. When Carden-Loyd merged with Vickers-Armstrongs in 1928 the small machine-gun carrier—cramped, lightly protected, unreliable but cheap to produce—became a major component of the British Army. In 1934 Vickers-Armstrong launched a new model carrier designated the D50. The body was limited to a two-man compartment at the front, while narrow seats, running lengthways along the track guards at the rear, would accommodate the rest of the crew of six. The engine was located in the middle of the chassis and was the standard commercial Ford V-8 linked by a four-speed and reverse gearbox also made by Ford. The suspension and steering systems were good especially when it came to cross country travel. In 1935, Vickers-Armstrongs offered another carrier model to the British War Office. Titled the Experimental Armored Machine Gun Carrier, it was fitted with the same engine, transmission, and suspension as the D50. Armor protection was provided by 6mm of medal plate. It could carry a Vickers heavy machine-gun which could be fired from either the carrier or dismounted by its crew from a tripod. Late last month, the Center for New American Security (CNAS) released a new report from Jerry Hendrix and James Price on the history of strategic bombing, and on the place that the Northrop Grumman B-21 “Raider” will occupy in the lineage of strategic bombers. Reminiscent of Jerry Hendrix’ structurally similar report on the history of the carrier air wing, and the place of the CVN-78 carrier in U.S. naval doctrine, the report concludes that the U.S. Air Force may need more Raiders (164) than it currently expects to acquire (100). Unfortunately, the strategic bombing paper lacks the tight analytical hook of the earlier report. The carrier air wing built a coherent narrative around the idea that the relative ranges of land-based aircraft and carrier-based aircraft told us something useful about the effectiveness of the latter, and made a compelling case that this relationship held irrespective of the characteristics of specific aircraft or aircraft carriers. The report had deep roots in the Navy’s own understanding of the value of a carrier air wing, but did not shy away from criticizing decisions that the Navy had made, or was about to make. COMMENT SHARE ANALYSIS & OPINIONS - Council on Foreign Relations Is the Strategic Corporal on Your Twitter Feed? "When did your Facebook page become a weapon? The dissemination of targeted information and propaganda has been an enduring characteristic of local and international politics, yet Western discussions of cybersecurity have historically given it comparatively little emphasis. This changed with Russian efforts to undermine the legitimacy of the 2016 U.S. election. These efforts were neither the first nor the last but certainly one of the most dramatic instances of information as a tool of conflict in recent memory. A look at the latest digital and cyber scholarship: computational propaganda, trolls in China, and internet censorship. Christopher Zheng is an intern and Alex Grigsby is the assistant director of the Digital and Cyberspace Policy program at the Council on Foreign Relations. The Net Politics report watch series of posts distills the most relevant digital and cyber scholarship to bring you the highlights. In this edition: computational propaganda, the Chinese fifty cent party, and global internet censorship. Woolley, Howard, and their team at the Oxford Internet Institute examine the manipulation of public opinion in nine countries, including Brazil, China, Russia, and the United States. Their assessment of what they call computational propaganda—“the use of algorithms, automation, and human curation to purposefully distribute misleading information over social media networks”—is impressive and draws upon insights gleaned from interviews and analyzing millions of posts across seven social media platforms. Can America Win the High-Tech Information War? America is at war – from cyber attacks by world powers to ISIS and even homegrown terrorists planning attacks on U.S. soil – but most of its citizens don't know it. In one recent example, cyber hackers tried to break into nuclear power plants across the U.S. Thankfully their attempts were not successful. And in one of the biggest stories of the year, federal investigators are still trying to determine how the Russians may have interfered in our election. This new type of warfare is part of the Information Age that has come to dominate our lives. New York Times bestselling author and veteran Washington Times columnist Bill Gertz says this war has been designed to defeat and ultimately destroy the United States of America. Gertz writes about the covert information warfare that's being waged by world powers, rogue states—such as Russia, China, Iran, and North Korea—and even terrorist groups like ISIS. CBN's Pat Robertson talks to Bill Gertz about his new book, iWar: War and Peace in the Information Age, on Monday's 700 Club.